If you follow us on Instagram, you’ll know that Sarah and I had three short but amazing weeks to road trip across New Zealand and we fell head over heels in love with both the North and South Island. For me, it was having huge open spaces, endless stunning scenery, unspoilt landscapes and the friendlies folk that made the whole trip an absolute dream. I was heartbroken when our trip came to an end in Christchurch, and editing this video has been a lovely reminder of all the great times we had with our little car, in this little country with big personality. We started our road trip in Auckland, where we picked up the very snazzy Mellifluous – our camper car from SpaceShips Car Rentals. If you’re considering doing a similar trip, I would definitely recommend checking them out and splurging for the Dream Sleeper Mini car – she’s the higher end of the camper-car budget, but so worth it! From Auckland, the road was ours! We had a rough guide on where we wanted to go and a few standout dates – like our skydive in Lake Wanaka – that we needed to meet, but otherwise, the plan was loose and to just go with the flow. 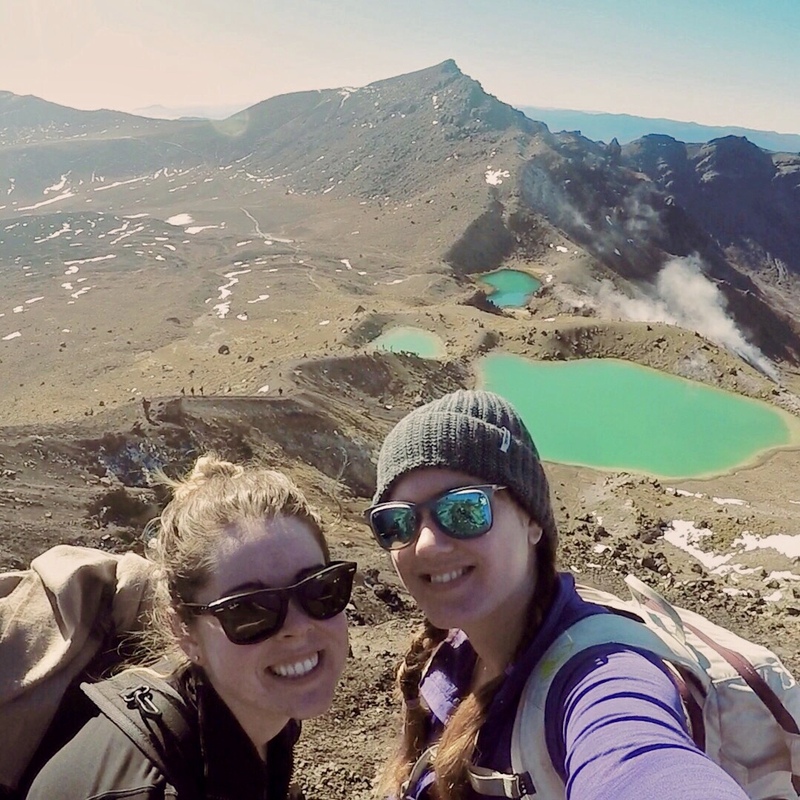 With one week in the Northland to explore Hobbiton, take a dip in the hot springs in Rotorua, hike the Tongariro Alpine Crossing and chill in Wellington, it was an action-packed week. For our second week, the adrenaline-fuelled activities really were put up a notch as we did our very first skydive, went horse riding in Glenorchy, mountain biked in Wanaka, hiked the Fox Glacier, and canyon jetted in Queenstown. And all that adventure has been packed into this video! If you’re thinking about planning your own trip across New Zealand, give it a little peep – it pretty much maps out our route and stopping point. And if you’re looking for tips for your trip, check out Sarah’s blog post over here! If you’ve any questions feel free to drop us an email or a comment below!